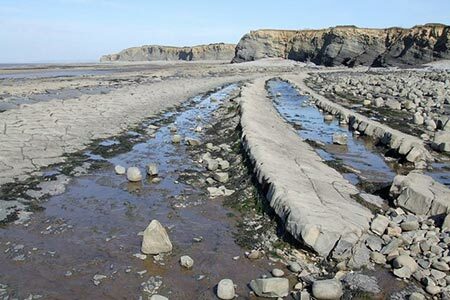 A Somerset walk from the coast at Kilve Beach with its interesting geology and fossils through Eastquantoxhead village and into the Quantock Hills. The route visits Beacon Hill and Bicknoller Post from where there are extensive views over the surrounding area. The walk then descends back to start. A GPX File is available for download (see walk description).